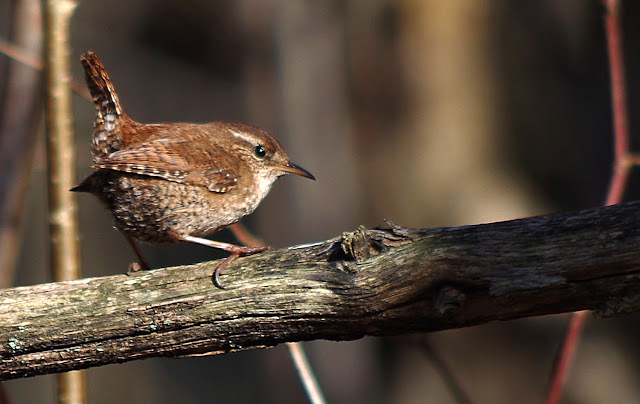 Every time our cat follows us for a walk in the woods, the little wren is the the first to raise the alarm. Hedegärde, Uddevalla, on April 11, 2016. Pentax K50, ISO 100, 300mm, f/5.8, 1/160.